As homes and buildings age, pipes can begin to corrode and rust. You may experience leaks or low water pressure. You may start to notice that the shower water goes cold when someone flushes a toilet or you may see water that looks discolored coming from your faucets. When these types of problems start to occur, you may need to have repiping done in your home or building. When pipes become worn or cracked, debris and fungi along with other materials can get into home building plumbing pipes and reduce the quality of your water. When pipes show signs of rust and other debris buildup, it not only makes the quality of water poor, but it decreases water pressure levels. Since most of your plumbing pipes are underground, it can be virtually impossible to know when there is a leak in your pipes. Leaks can be expensive and they can damage your property or your resident’s property. Just one small crack in a pipe can cost you thousands of dollars every year in wasted water. Nobody wants to live in a home or work in a building that has leaks and ongoing plumbing problems. Even if you don’t have plumbing problems, taking the precaution to replace old pipes can increase your property value and prevent plumbing problems from occurring in the first place. Customers who need a partial or full home or building repipe will find that repiping with copper lines can bring plumbing to modern standards and fix many of the issues presented with galvanized piping. Copper piping provides a long lasting solution to problems like plumbing leaks, better quality drinking water and better water pressure through the home and building. Replacing some or even all of your home or buildings copper piping can be expensive. 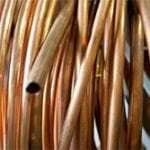 Copper has many benefits, but the high cost of copper along with the labor and usually other expenses like drywall repairs common to this type of repair or upgrade makes this typically, the most expensive type of home repipe. Popular in the construction industry between 1978 and 1995 was the use of polybutylene piping. It’s quick and easy to produce, install and maintain. The use of polybutylene pipes quickly pushed traditional copper piping to the side and was adopted for use in construction use especially in multifamily and commercial building projects. Polybutylene pipes contain chlorine and other chemicals that can cause rapid deterioration. Installing this type of piping requires a metal crimp band that pinches the pipe. 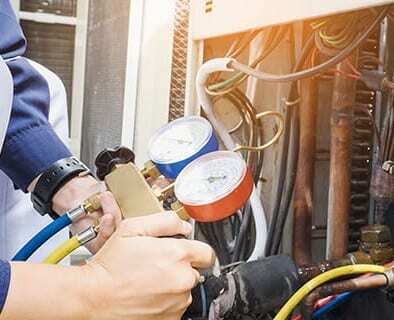 If the piping is installed poorly or incorrectly, the pipes disconnect. When polybutylene pipes disconnect, it can lead to leaking pipes that cause property damage. This type of piping problem isn’t something that should be taken care of by repairing the pipe; polybutylene pipes should be completely replaced. PEX piping is a cost effective alternative to copper piping and piping that is not only flexible, but resists scale and chlorine deposits and will not corrode over time. Polyethylene piping is less labor intensive to install than metal or plastic piping and has fewer connections and fittings that make it less likely to leak. For partial or full home repiping, PEX piping is a good, cost effective alternative for homeowners and property owners who have a particular budget in mind. ECM can help you handle any and all problems associated with your home, property or business piping and water system needs. We will work with you to create solutions that are lasting and within your budget. Repiping services will be performed by ECM in a manner in which we will create minimal disturbance to your home or business. All repiping projects done by ECM will be in accordance with state and local codes and inspected as per city and county requirements. Contact ECM today for an estimate on your residential or commercial repiping project!